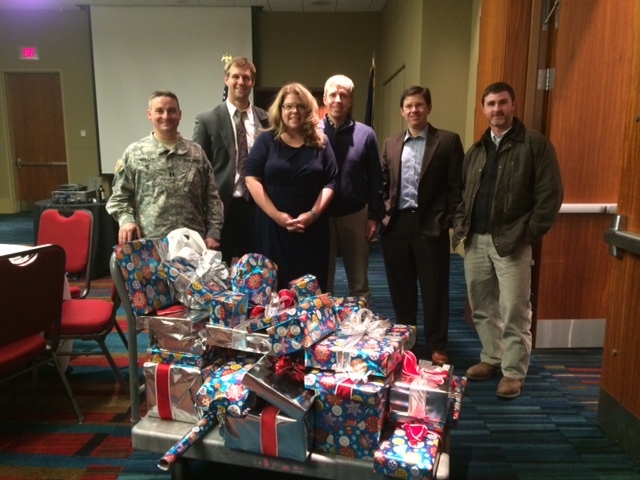 The Rotary of the Vista Night adopted a family of four this holiday season. 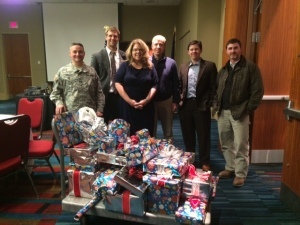 Rotarians collected gifts for a local family in need. Last night members of the Rotary of the Vista Night stayed after the weekly meeting to wrap a bike, toys, clothing, shoes, infant supplies and gift cards for an adopted family this Christmas. The Rotary of the Vista Night embodies “service above self” through many projects both inside and outside of Rotary. Some of the projects that the Rotary of the Vista Night has developed include fundraising initiatives for local non-profits, services projects with Habitat for Humanity, the Salvation Army and Rotary International.